JORDAN VALLEY (Ma’an) — Israeli forces confiscated two tractors from the al-Hadidiyeh area in the northern Jordan Valley, late Wednesday.Locals reported that the two confiscated tractors belong to two Palestinians from the adjacent Tubas district.Human rights activist Aref Daragmeh said that Israeli forces raided the al-Hadidiyeh area and confiscated two tractors from agricultural lands.Daraghmeh identified the owners of the tractors as Hamed Rizq Daraghmeh and Mfaddi Lafi Sawafta. 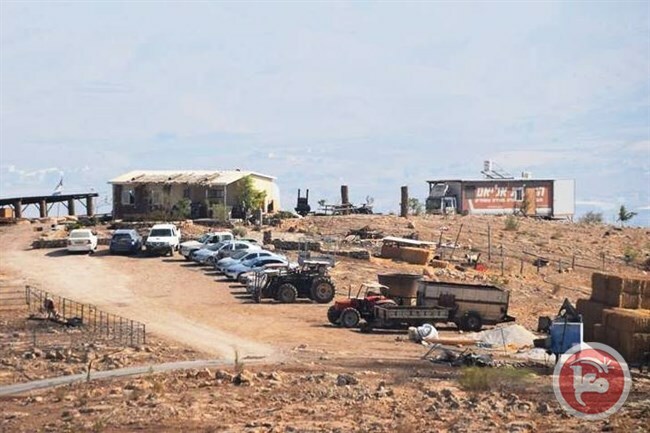 Palestinian residents of the Jordan Valley regularly face evacuations and interruption due to Israeli military exercises on or near their land. The district of Tubas, meanwhile, is one of the occupied West Bank’s most important agricultural centers.The majority of the Jordan Valley is under full Israeli military control, despite being within the West Bank. Meanwhile, at least 44 percent of the total land in the Jordan Valley has been re-appropriated by Israeli forces for military purposes and training exercises.According to the Palestinian nonprofit the Applied Research Institute – Jerusalem (ARIJ), more than 400,000 dunams (98,842 acres) of the 720,000 dunams (177,916 acres) that make up the total area of the Jordan Valley has been transformed into closed military and firing zones, with at least 27,000 dunams (6,672 acres) confiscated for illegal Israeli settlement building.Forming a third of the occupied West Bank and with 88 percent of its land classified as Area C, the Jordan Valley has long been a strategic area of land unlikely to return to Palestinians following Israel’s occupation in 1967.